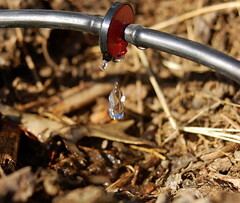 How to install drip irrigation – Although drip irrigation has been around for a long time in drier climates that need to conserve water, a modern drip irrigation system was pioneered in Israel in the 1960s. Israel has a perpetually dry climate and in order to let the desert flourish, some very creative ways to use water have been and continue to be developed. The first modern drip irrigation system in Israel used long, narrow tubing attached to wider tubing, which ended in emitters and reduced the likelihood the emitters would blow out due to high water pressure. Since then dozens of drip irrigation designs have been developed. 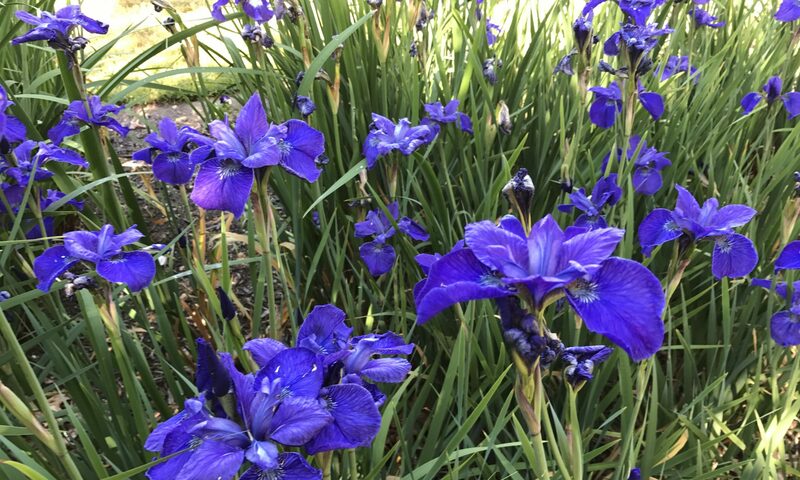 I installed a drip irrigation system in my previous home, and now I’m continuing to work on and maintain a drip irrigation system that was existing in my current home. They are not difficult to install, but can become time-consuming. There are many different kinds of fittings and emitters to choose from, but I am only going to talk about the most basic drip irrigation system. This video shows the installation of a drip irrigation system that is a little more elaborate than the one I am talking about here, but you will get the idea. It also has a few bells and whistles I don’t have. Some of the basic drip irrigation supplies include, half inch or 5/8 inch tubing, quarter inch tubing, a backflow preventer which will prevent dirt and other yucky stuff getting sucked back into your water system, a pressure regulator which keeps emitters from getting blown out due to high water pressure, and a range of emitters that can be scaled to how much water they release at any one time.
. First, you determine the area that you want to water.
. Then you lay your 5/8 inch tubing all the way around the area you want to have watered. Some instructions have you connect both ends to each other so that they form a circle, decreasing the likelihood that the water pressure will peter out at the far end.
. To this larger tubing you attach some of the quarter inch tubing and place an emitter at the end. Alternatively you can also put the emitters directly onto the 5/8 inch tubing.
. Connect your 5/8 inch tubing that you have laid out to a backflow preventer and pressure gauge. Now connect these to the water source.
. Turn on the water, and water your garden. There are many other designs other than this one, as this is a very basic drip irrigation design. Instead of emitters you can also purchase emitter tubing which you can lace through your garden beds. You can buy kits for a vegetable garden, or container garden, that have all the pieces included. Other systems in able you to convert and in the ground sprinkler system to get irrigation by connecting a hub with several emitters to your sprinkler riser. And then you simply turn on the sprinklers and water whatever garden beds you want to have water. The possibilities are endless. You can also add timers to make your watering automatic. The benefit of this is that you can’t over water by forgetting to turn off the water. I have discovered one very handy trick for attaching all of the different pieces together. Some of the plastic for the tubing and emitters can be difficult to manipulate. What I have learned to do is take a cup of boiling water in a mug with me out into the garden. Then I simply immerse the end of the tubing and the end of the emitter into the hot water and connect the two. It is much easier to manipulate when the tubing is warm. Likewise, in order to straighten out tubing that has been tightly rolled up, I lay it out on my driveway in the sun until the tubing has gotten warm. Then I can just simply undo the kinks and have developed from being rolled up. And that’s it. Some very basic drip irrigation systems for you to install in your own garden.